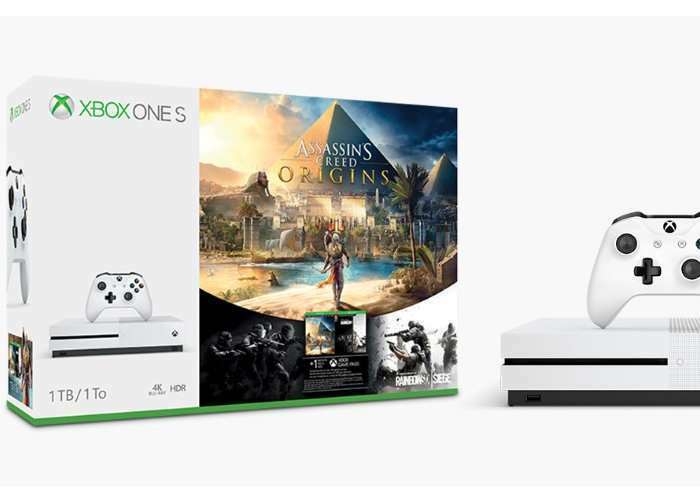 Microsoft has revealed more details about the new Xbox One S Assassin’s Creed Origins Bundles which will be available to purchase from 27th October 2017 onwards. The Xbox One S Bundles are now available to preorder from today via online retailers such as Amazon and the official Microsoft store. The 1TB bundle priced at $349, €349 and £299. While the 500GB bundle will be available for €279, £229 GBP, Microsoft also revealed an Xbox One X Enhanced version of Assassin’s Creed Origins would be made available as a free update when new Microsoft Xbox One X launches later this year.